RNR Madness, Round of 32: The polls are open! RNR Madness, Round of 64: The polls are open! 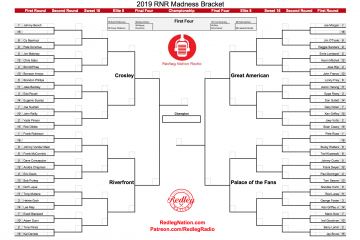 RNR #262: RNR Madness, round one! Is it time for Cincinnati’s One Shining Moment? This weeks episode of Redleg Nation Radio has it all. The Reds are on a winning streak, finally, and we introduce Redleg Nation Radio Madness. RNR #261: Can the Cincinnati Reds get a do-over? The world's most dangerous podcast looks at the first week of the Cincinnati Reds season and previews the Reds' minor league affiliates. RNR #260: Opening Day is here, and we choose to be optimistic! In this episode of our Cincinnati Reds podcast, Chad Dotson and Bill Lack answer as many questions about the 2019 season as they can fit in. Chad Dotson and Jason Linden preview the 2019 Cincinnati Reds, looking at who did (and who didn't) make the club, and our expectations for the season. Chris Welsh joined the Redleg Nation Radio crew of Chad, Jason, and Bill this week to discuss the Cincinnati Reds roster for opening day. RNR #257: Who is the Opening Day starter? In the latest episode of the podcast, Chad Dotson and Jason Linden argue the merits of the candidates to be the Opening Day starter for the Cincinnati Reds. RNR #256: The Ceiling is the Roof! In this week's episode of the official Redleg Nation podcast, join Chad Dotson and Jason Linden as they get way too excited over the 2019 Cincinnati Reds. 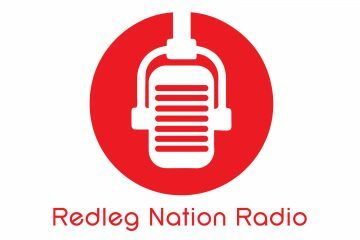 Join Chad Dotson and Bill Lack for the latest episode of Redleg Nation Radio where they discuss all things Cincinnati Reds spring training. Redleg Nation Radio BONUS episode this week. Episode #254 features Chad Dotson and Doug Gray discussing Nick Senzel, Sonny Gray, Michael Lorenzen and more. doofus on Reds Question of the Week: What to make of Jose Peraza’s start? Hanawi on Reds Question of the Week: What to make of Jose Peraza’s start? greenmtred on Reds Question of the Week: What to make of Jose Peraza’s start? JB WV on Reds Question of the Week: What to make of Jose Peraza’s start?